Welcome to my PRS art room website. My art lessons include the MA visual art standards and are inspired by current events, the environment, artists and art trends through out history, contemporary artists, and my student's interests. 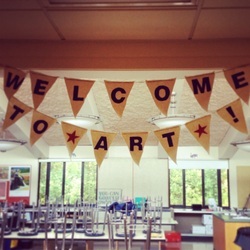 As an artist educator I set out to teach my students through a holistic and multicultural approach to art education that promotes respect for others, visual and critical thinking strategies, self-expression, and an excitement for the process of creating artwork. I will be regularly posting images of the amazing work done by the PRS artists! Please share any comments or questions you might have! ENJOY!